You and your group can enjoy relaxing at the hotel or exploring Puerto Vallarta's many attractions. Make use of modern audiovisual services and high-speed internet access in all of our meeting venues. Energize your conference guests with delicious catering, created by our talented hotel culinary team. The Vallarta Ballroom venue is perfect for large conferences of up to 700, seated in theater format. Organize an al fresco meeting or cocktail party in one of our hotel's five flexible outdoor spaces. Host your meeting here in Puerto Vallarta, and take advantage of our all-inclusive group packages. **Group rebate is defined on general group room revenue contribution, with 200 or more room nights. Promotion based on availability, cannot be combined with an additional promotion. Blackout days apply. Get more from your meetings — two times more. Book an eligible meeting between March 5 and June 30, 2019, for meetings held by December 31, 2020, and earn double points. 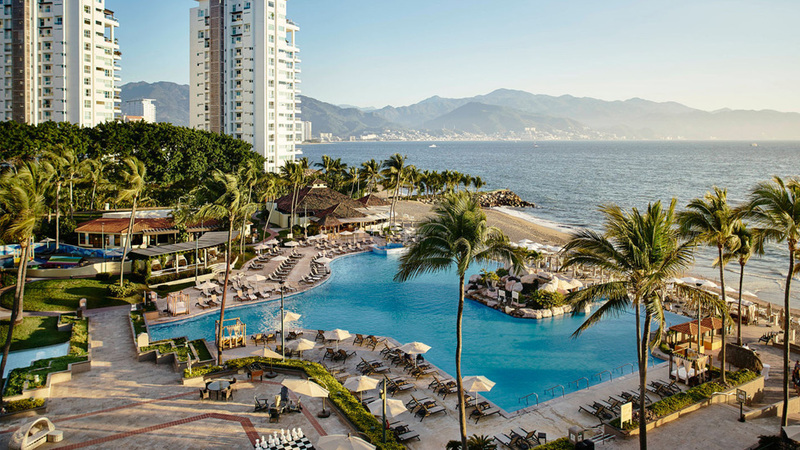 You’ll earn on all eligible charges — including rooms, food and beverage, and audiovisual equipment — at Marriott Puerto Vallarta Resort & Spa. Book our Vallarta Gold Inclusive Group Package to enjoy our all-inclusive experience. All meals included at leisure in five specialty restaurants and bars including Seafood, Mexican, Asian, American Sports bar and our brand new Ceviche & Tequila Bar. Private events with the inclusive menu available with no additional cost. Unlimited international Gold open bar: cocktails, distilled beverages, beer and wine in restaurants and bars during service hours. Soft drinks and bottled water included 24 hours. Coffee, tea, sweet bread, and cookies at Deli Los Mangos. 20% discount on audiovisual equipment. 30% discount in Spa services. © 1996 - 2019 Marriott Puerto Vallarta Resort & Spa. All rights reserved.